I find that lists of “best” films are nearly impossible to create because they can vary drastically based on the criteria for selecting the choices. When picking the top movies of the year, should I choose the highest-quality pictures or the most enjoyable times at the theater? My picks typically involve an unintentional compromise between art and entertainment. They’re generally not mutually exclusive attributes, but the combination can lead to some strange lists when I review them years later. Periodically during these marathons, I’ll be closing them out with a Top 5 List of my favorite movies from that particular category. In most cases, I’ll be choosing personal favorites that might not always qualify as the truly superior films. This first collection is a perfect example that might create a few “what?” responses from you, my knowledgeable readers. However, I feel strongly that the five picks rank among the most entertaining and thought-provoking films in the genre. There’s nothing truly outlandish on this list (sorry, Bulworth), and a few are obvious picks. Without further rambling, let’s check out the picks! All four choices in this marathon left a strong impression, but Michael Ritchie’s subtle depiction of a rising young candidate has stayed with me the longest. Watching the idealistic Bill McKay (Robert Redford) slowly decay into a compromised and toothless politician is a sad experience. Ritchie and Writer Michael Lerner never overplay McKay’s changes and place us directly inside the campaign. This clever approach leads to an intelligent, underrated movie that remains timely nearly 40 years later. You could classify this paranoid classic as more of a suspense thriller than a film about politics, but I think it fits both descriptions. Released during the height of the cold war, it presents both the hypocrisy of McCarthy scare tactics and actual reasons for the fears. 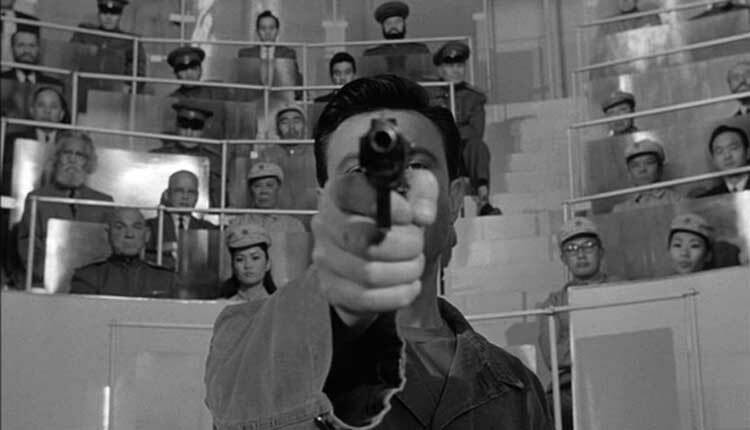 Star Frank Sinatra has never been more convincing on screen playing a military officer trying to stop an assassination. The complex plot involves brainwashing, political ambitions, and corruptions at high levels of power. The mind-bending story was way ahead of its time remains stunning to this day. Easily the best documentary about politics that I’ve ever seen, this gripping look inside the 1992 Clinton campaign for president is must-seeing viewing. It rightfully makes stars out of George Stephanopoulos and James Carville, two passionate guys who couldn’t be more different. 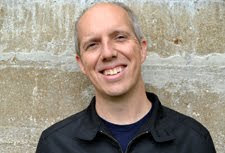 Chris Hegedus and D.A. Pennebaker give us access at all the right times and show how the unlikely Arkansas governor became president. Along with the smart moves, we see all the unexpected events that had to occur to seal the win. Watching Carville’s grin after one pivotal lucky moment is just one of numerous standout scenes. Obviously the top choice on many lists, this intelligent, thrilling story of Woodward and Bernstein’s Watergate investigation is heaven for journalists and politics buffs. 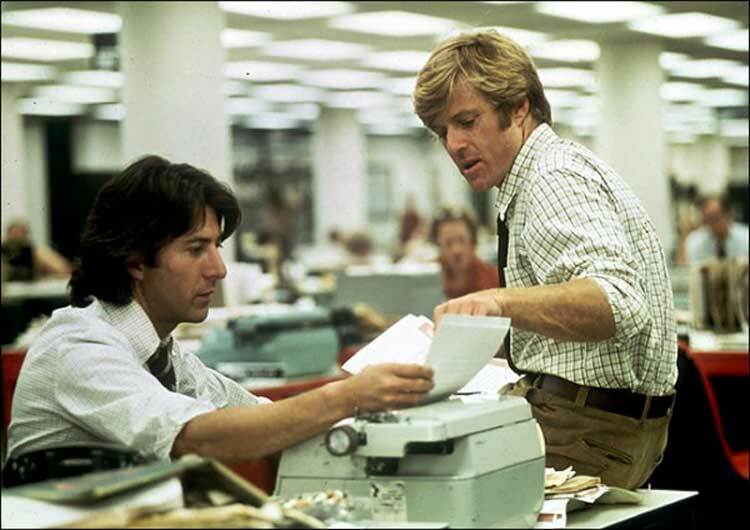 Redford and Hoffman have rarely been better, and Jason Robards gives one of his best performances as Editor Ben Bradlee. Adapting this type of well-known real-life material is challenging because it could lack tension. Writer William Goldman retains the suspense without overplaying the big scenes, and Pakula’s direction perfectly complements the script. The final scene of Redford and Hoffman typing away at their computers is an indelible moment that remains inspiring to this day. Although it’s hard to call a film that earned six Oscar nominations underrated, this subtle portrayal of Edward R. Murrow and his conflict with Senator McCarthy deserves more recognition. The striking black-and-white cinematography matches perfectly with George Clooney’s relaxed direction to deliver the perfect atmosphere. 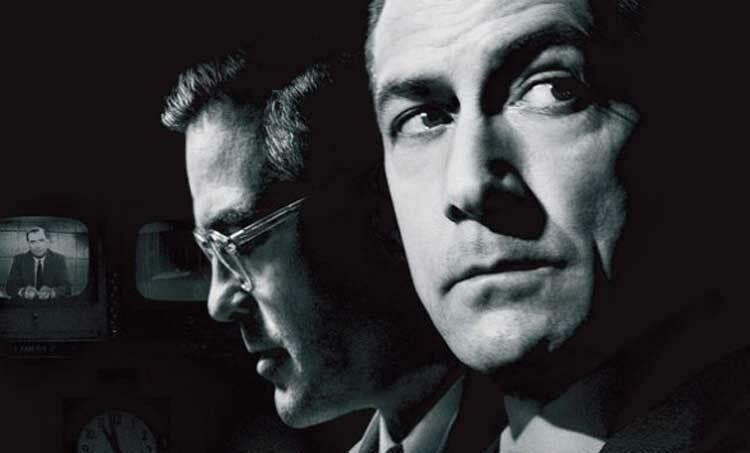 David Strathairn brings a quiet confidence to Murrow that masks intense feelings about McCarthy’s methods. His ultimate decision may derail his promising career, but taking the stand makes Murrow a legend. An experienced group of character actors, including Robert Downey Jr., Patricia Clarkson, and Clooney create an intriguing environment for the historic on-air conflict. Good list. I would add Wag the Dog in there somewhere. Maybe as an honorable mention. Thanks! I saw Wag the Dog a while ago, but I don't have a specific enough memory about it. I need to revisit it at some point.